I had the pleasure of meeting recently with Pastor Linu and wife is “Nella" near Campina, Romania. 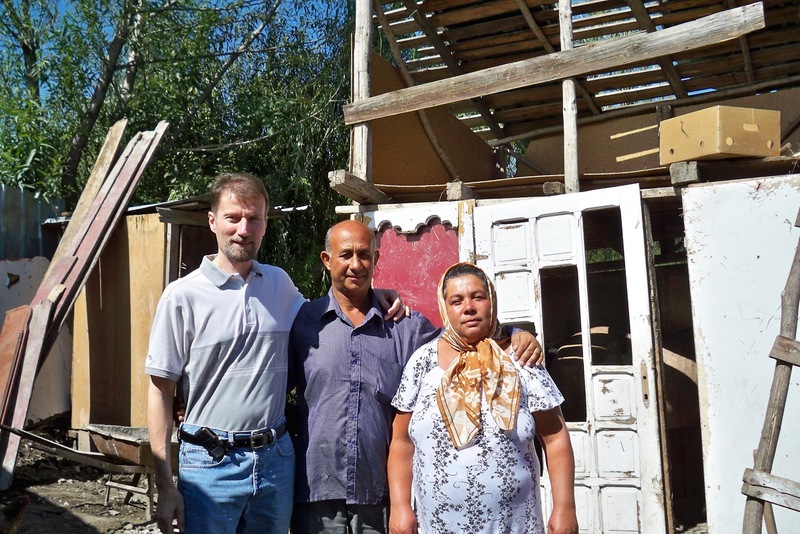 He is the pastor of a small, gypsy church. He says the enemy is trying to destroy the work here. Their son Vadar was killed in a freak, train accident seven years ago at age 18. He had gone to Bucharest to sell flowers from the forest for tea and was killed. He was mysteriously thrown from a train, but no one else was thrown from the train. The previous pastor here, Tom, was killed in a car accident. When he was still alive, Linu’s son, Vadar would pull him in snow sled to the bus stop. Vadar would bring children from off streets to church to hear God’s Word. He knew the Lord and was loving people. Then their daughter Raluka was killed 10 months ago at age seven in a “car accident.” Their Daughter Raluka had a visit one year ago from Jesus while picking flowers. He was dressed in a white robe to His feet. and His face shined like sun. He held her in His chest. When Raluka told her mother about this experience, Nella said, “Jesus is loving you.” Six months later the Lord took her, when she was killed in a car accident. A van from gas company hit her doing 100km/hr in a 30km/hr zone. The van made a 22-meter skid, which indicated high speed was a factor. However, the police sided with the driver. On his way to an April baptismal service this past April, Linu's car rolled down an embankment in the woods. His brakes had suddenly failed! Seven people were in the car. They slid hundreds of meters on the roof of car, yet no one was hurt. Although another car at another time with three people lost its brakes and had same kind of accident on same road and all died!!! 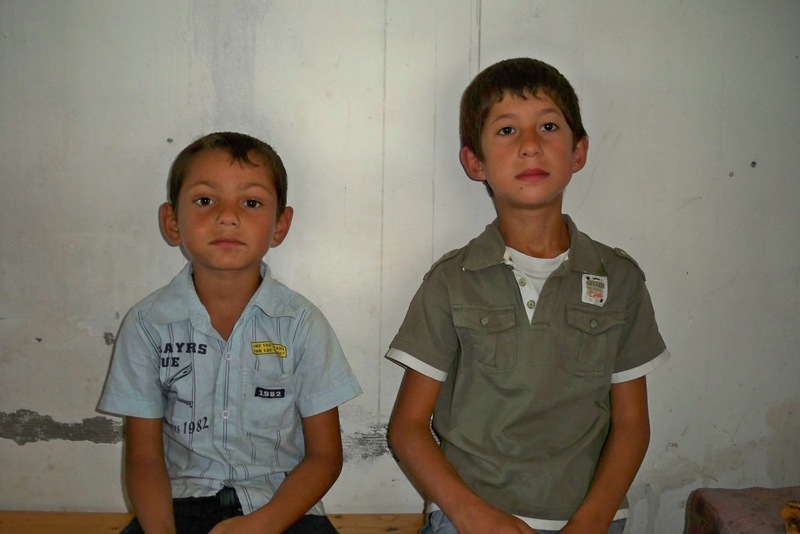 Linu had shared the gospel with them, more than once, but they refused to receive it. He began with this work around seven or eight years ago, first as a member, then a deacon. This church was started in 1993. They have a total of nine children -- originally five boys and four girls. But now that they have lost two, there are only seven. Their oldest child is 34 years old. His grandson, Reuben died. The dog had taken his bag of candy, and he tried to grab it from the dog. He was standing on a stairway landing about four feet above the ground and fell from it, landing on his head. He died from his head injury. When someone discovered him, they called for Linu, who prayed for him and God raised him from the dead. Praise the Lord! He drank a lot. God told him to stop or serious consequences. He heard an audible voice say, “You should have died a long time ago. But because of sacrifices and prayers” of his, the Lord was merciful. He always wanted to serve Lord and pray but never knew the best way. He was God-fearing man, but a violent drunk. One day at 3AM, his house was burning, In December they were engulfed in flames. A neighbor shouted to them to get out. The house was destroyed, but they all made it out alive. 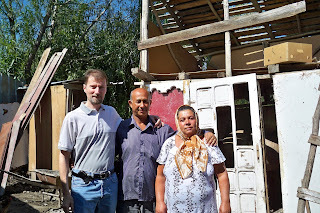 He said, “God, if you help me to rebuild house, I’ll become a Christian.” He sent word to pastor that he wanted to dedicate his life to Christ. It was two days before New Year’s Eve. So he went to the church and spoke with the pastor. However, the pastor told him he would go back to drinking. But Linu insisted he must dedicate himself now or never! He and his wife did so together 29 December 1993. Right after he gave his life to Christ, a demon visibly appeared to him. It was a short one. It appeared human, standing about three feet tall in a child-size body with a big head that had a strange shape. The demon asked him, “Why do you give your life to Christ? Because I had a lot of work to do with you.” The Holy Spirit spoke to him to confront the demon strongly in faith and he will run. When he resisted, it left. Signs and wonders are happening here; God is healing many people here. Two children were raised from dead. A boy and girl. The boy was their grandson, Reuben (see photo above). When this happened, his mother was in hospital with 4th and 5th degree burns on 75 % of her body, close to death. Doctors said she would die. Linu went to hospital to pray for the boy's mother, which is Linu's daughter. When they prayed, she was able to stand and open her hands that had been clenched. It was a miracle!!! She completely recovered, and the doctors witnessed it. The daughter of this woman also died in her sleep, unable to breathe. Linu’s grand-daughter, Sara (pictured left with red shoes, sitting on lap of older girl). That day Nella got a vision of their barn and horse falling down in valley and it really happened (the same barn and horse are in above photo of Len, Linu and Nella). But in a vision she also saw grand daughter die in sleep. She sent Linu and he stumbled over there, because one shoe was too tight. He found her in her bed dead and the mother was crying. He prayed for her and God brought her back, although she had been dead for ten minutes. This happened during the daytime after the service. After his daughter was healed of burns she got saved, attended church, and dedicated her children. When I met this man, his family and his church, I sensed that this was a true man of God doing a great work for the Lord in this place. There is a lot of love and a lot of peace there. The enemy hates him and has been unsuccessful at destroying the Lord's work in this village. I did sense that there was a curse on their lives, and we prayed together to revoke that in Jesus Name. Praise God for what He has done in this pastor's life, even raising the dead and protecting the lives of those in his car. And praise God that Linu and his wife Nella have kept their faith in the Lord through all the suffering they've experienced. They are an example of patience in the face of suffering.